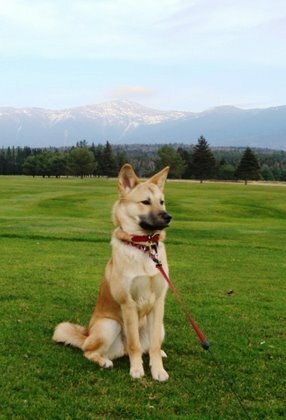 The Jindo is a spitz-type similar to the smaller Shiba Inu and the larger Akita. The breed possess strong wills with independent minds. They love to roam and are quite the free spirits, and are not recommended for inexperienced owners. They need firm but loving handling and consistency. The Jindo is affectionate with its loved ones and reserved with strangers. They are excellent watchdogs and will guard the home and family to the death if necessary. Early socialization especially with children is strongly recommended. They have a high prey drive and may not be not reliable around smaller animals. They will strive to be the “Alpha” dog in their territory. With proper daily exercise the Jindos is pleasant apartment dwellers. They are naturally fastidiousness and groom themselves like cats. Easy to housetrain. They love to roam and should be walked on a leash to avoid conflict with other animals. 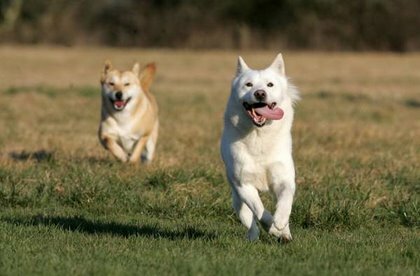 The Jindo has a double coat and blows its coat twice a year. Double Daily brushing Not recommended for inexperienced owner.